A look at the January downloads for the free Stuff I Need app shows that the United States, Canada, and the United Kingdom together make up 53.8% of users. 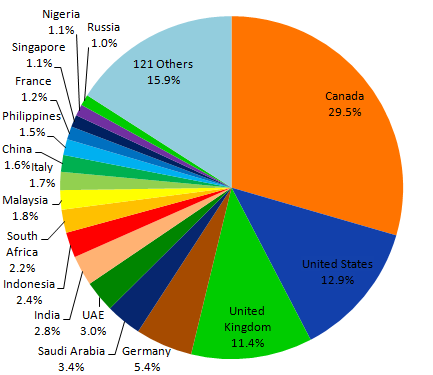 In total, downloads came from 138 different countries, with Germany making a surprising showing at 5.4% of the market. India also does better than expected with the 7th largest number of users despite not being a traditional BlackBerry market.